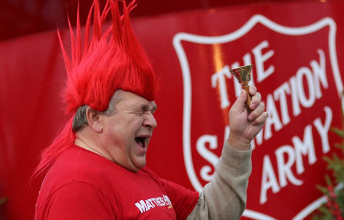 There are many different ways to get involved with The Salvation Army. We offer volunteers a chance to change people's lives across a wide range of activities and programs, all the while being changed themselves. All of our volunteer opportunities are coordinated locally, where our staff understands exactly how you can be of the most help for the most people. To get started, please contact the main office at (920) 684-7117, email Lisa_Stricklin@usc.salvationarmy.org or sign up online. Sign up online at RegisterToRing.com. The Salvation Army has opportunities for you to serve in times of disaster with volunteer teams. If you are interested in learning more about these opportunities, please visit our national disaster services website.